Not satisfied with the limits on human endurance, the government’s Defense Advanced Research Projects Agency (DARPA) has created the Excelsior program to break human performance barriers. Dr. Evan Galloway, a brilliant physiologist from MIT, has been tasked with developing nanotech-based red blood cells that produce a 236-fold boost in oxygen efficiency.Though chosen for his superior scientific talent, Evan hasn’t been able to create functioning Nan Airs. Fed up with Evan, DARPA Director Dana Brines opens up the once-classified project into a worldwide scientific competition. Soon thereafter, billionaire investor, Jack McKnight, announces an impossibly dangerous quintuple Ironman triathlon, The Aletheia, as an opening act to the Olympics—and he’s competing. Dejected and with a personal vendetta against McKnight, Evan enters the race only to discover that his thrill-seeking little brother, Luke, is out of prison and has also entered. Now Evan must not only survive the race against an egomaniacal and likely enhanced opponent, but also save his brother and the Olympics from sure destruction. 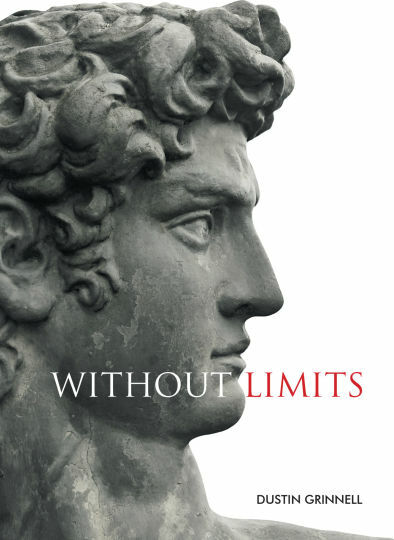 Without Limits is an ethically-charged science fiction/action adventure novel in the page-turning vein of Michael Crichton. It explores the moral implications of our natural drive to cheat, the grudges we hold, and our looming ability to enhance our biology through technological means. Purchase Without Limits on Amazon as an e-book for $0.99, or as a paperback for $9.95. See picture from the 2015 Tri-Mania Summit in Cambridge.